After a successful ascent of Mount Kilimanjaro or during a stopover before safari or other SENE adventure, you may find yourself overnighting in Moshi Town at the Ameg Lodge, Hibiscus B&B, or other accommodations. And you may ask yourself, “This is a nice neighborhood… where am I?” You are in Shantytown. Yes, Shantytown. Is Shantytown a Shanty Town? Contrary to the term often associated with a squatter settlement, Moshi’s Shantytown is a quiet, upscale residential neighborhood of large homes on well-manicured lots just up the mountain from the main part of town. The origins of the name are lost in time, though the area likely started as a squatter settlement until Moshi residents with means realized the higher elevation meant cooler and cleaner air and water, as well as pretty views, and so started claiming plots and constructing homes. 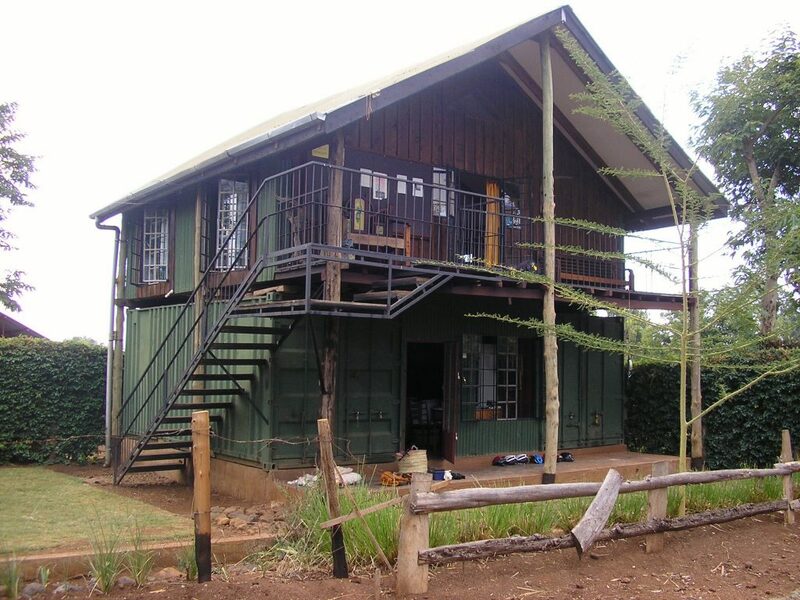 From the bustling center of Moshi it is a short 5 minute drive or 20 minute walk into the heart of Shantytown. 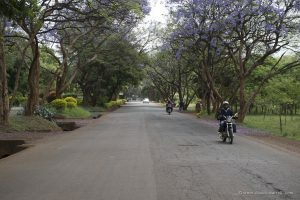 At first glance, it may not seem like much, as other than the paved thoroughfares (Kilimanjaro Road, Sokoine Road, and Lema Road) that pass through on their way up the mountain, the maze of neighborhood roads are all dirt and as bumpy as anywhere else in town. And most of the stately homes are hidden behind high walls and shrubs. Still, it is a very pleasant area for a daytime stroll. Sokoine Road (locally referred to as the KCMC road) borders Shantytown on the east, while the Karanga River borders it on the west. The river is accessible at one of two bridge crossings and makes for a nice stop. The water is cool and refreshing. The level varies depending on the amount of precipitation received high on the mountain in preceding days. When low, the river may be forded easily by stepping across the many huge boulders exposed by the shallow water. When the river runs high, only those with sure footing or foolhardy daredevils cross. Among the institutions in Shantytown the most prominent is KCMC (Kilimanjaro Christian Medical Center), the region’s referral hospital and one of the best medical facilities in the country. It is a sprawling complex of buildings on the north side of Shantytown (demarcating the up mountain border), and includes a medical school, dormitories, doctors residences, research facilities and more. The grounds of the International School Moshi, a pre-K through 12th grade English-medium baccalaureate program, is tucked into the northwest corner of Shantytown. ISM serves both ex-pat and well-to-do Tanzanian families – those living in Moshi as well as boarding students from across the country. The diverse international community of students and teachers sends its graduates to top universities all around the world. The quiet campus of single-story buildings connected by covered walkways has many playing fields and open spaces for the students to exert their energy. Just uphill from ISM and tucked away amongst houses sits SENE headquarters, where you will find Simon, office manager Timothy, reservations manager Emanuel, and perhaps Joseph, Gerald, Felix and other SENE guides (when not on the mountain or out on safari). It is easily spotted by the elevated wooden office built on top of two converted shipping containers. Within the compound can be found a small organic garden (to supplement Simon’s larger gardens at Mbahe and Mweka), storage buildings, outdoor work areas, and our bright green SENE vehicles. 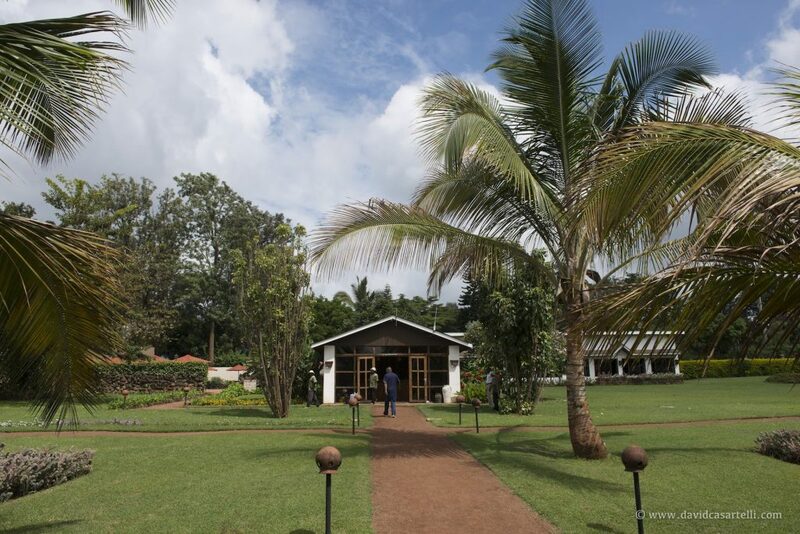 In the southwest corner of Shantytown, bordering the Karanga River, is the old Moshi Club, formerly a hideaway for the colonial era ex-pat community, replete with a 9-hole golf course, rugby pitch, and aging clubhouse. While its heyday was decades ago, the club still endures, now open to the whole community and host to a number of social events throughout the year. The grounds make for a nice stroll and excellent running on the undulating terrain. The golf course is open to the public, but is inferior to the 9-hole course south of town on the TPC sugar plantation grounds and the brand new 18-hole (championship standard) Kilimanjaro Golf Club between the Kilimanjaro Airport and Arusha. Finally, in the southeast corner of Shantytown, closest to downtown Moshi, is the Chuo Cha Polisi (Police College), the training facility for Tanzanian police officers nationwide. Access to the spacious grounds on prime real estate are restricted, but you will often see trainees out on the surrounding roads in the early morning hours doing their running exercises. Popular restaurants in Shantytown include El Rancho (top notch Indian food, despite the name), La Fuente Gardens (Mexican food), and 10-2-10 Pizzeria. More local fare can be found at the hotel restaurants, as well as in local cafes scattered around KCMC and along the main thoroughfares up from Moshi center. All Shantytown restaurants exploit the pleasant climate and quiet surroundings with lovely patio seating for wonderful year-round al fresco dining. 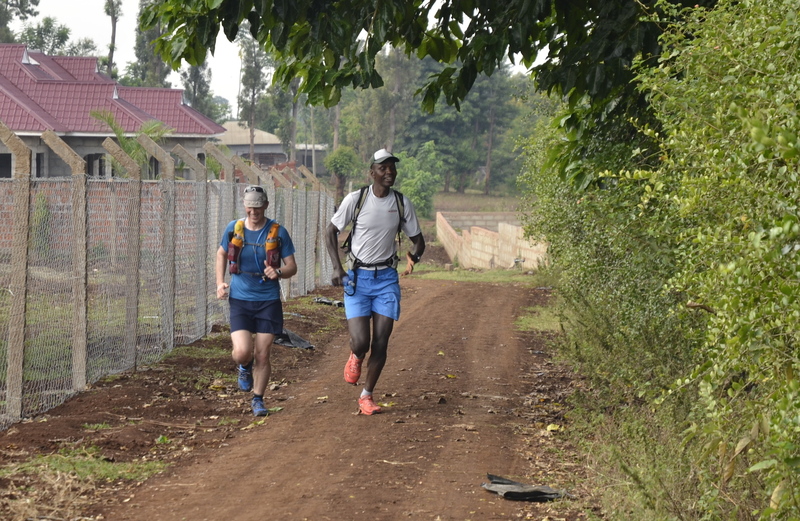 In the early morning dawn and just before dusk you will see many runners – of all ages and abilities – training along the paved Lema Road through Shantytown. Running has become a popular fitness activity as more middle class Tanzanians live sedentary lives and must undertake exercise to avoid the risk of formerly “developed world” afflictions such as heart disease, diabetes, cancer, and ailments related to obesity. You may also see the world class distance runners who are based at the aforementioned Chuo Cha Polisi. Feel free to join them for a jog as you explore Shantytown.